I sat down with Sir Michael to explore the stories, the evidence and the politics that come into play when doctors are actors for social change. 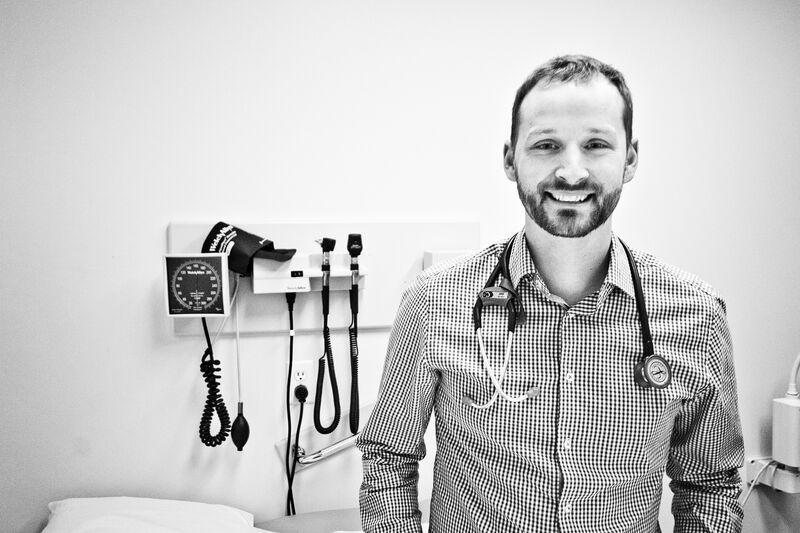 Ryan Meili: In 2012, you joined me for a Healthy Society book launch in Yellowknife, NWT. You had a lot of nice things to say about the book, but there was one thing you objected to. This was the idea that the social determinants of health reside in a “Phantom Zone” -- that the concept is stuck in academia and hasn’t made it into the public discourse. You said that wasn’t true, and that you being the keynote at the Canadian Medical Association annual meeting was one sign that it had changed. What are some of the signs you see of the success of this concept of social determinants of health reaching a wider population? So we go, in the space of less than three years, from that skepticism about whether the idea will go anywhere to it becoming the norm. When I started with the WHO Commission on the Social Determinants of Health, people said to me “What is this ‘social determinants of health?’ What does it mean? No one understands it -- why did you choose that language?” I didn’t give it much thought about the language, I just did it, and now everybody’s talking about it, in the most unusual places. RM: You touched there on one of the things we run into frequently: the debate around this term, ‘social determinants of health.’ Some people say it’s not complete, it should be socioeconomic, sociopolitical, etc. We’ve committed to this term with my own organization, Upstream. We really do want to popularize it, but we also realize there may be other ways to get into that concept. What are your thoughts on that criticism, that it’s incomplete, or perhaps a bulky or awkward term? Sir Michael: I think it’s the term we happened on, and as long as people know what it means, that’s fine. The concept is to engage the general population, and it’s the concept that’s important. Because, if you ask most people what causes ill health they’ll say, for places like Canada or the UK, that it’s difficulty getting to see the doctor. If they’re talking about low-income countries, they’ll say it’s dirty water or lack of food. And then they might also say smoking and drinking -- that sort of thing, is important as well. And then you ask people, “What do you worry about?” and they’ll say, “Oh, what I worry about is the kids getting a good education, and not hanging out with bad company and being in a safe place to live, and being able to have money to meet the weekly bills. I worry about losing my job, or having a lousy job in which I don’t feel fulfilled or I have a terrible boss, and about what am I going to do in my old age.” And that’s what people worry about. I tell them, “You know the things you worry about are the major influences on your health, and they in fact determine whether you’re going to smoke or drink or at least have an important influence on those things.” So what excited me about what Chris Simpson, President of the CMA reported from Canada yesterday, is that it’s a way of engaging people, that these things are practical in their lives: housing, jobs, neighbourhoods, security – they are important for health, and that the social determinants of health will do as an umbrella term. That’s fine, because how else do you describe them? What matters is that the idea gets translated into the reality of Canadian lives. RM: I think it’s really interesting the way that the CMA has done their Health Care town halls, with physicians, organized medicine, reaching out to the general public, trying to bridge that gap in understanding, and learn from the public. 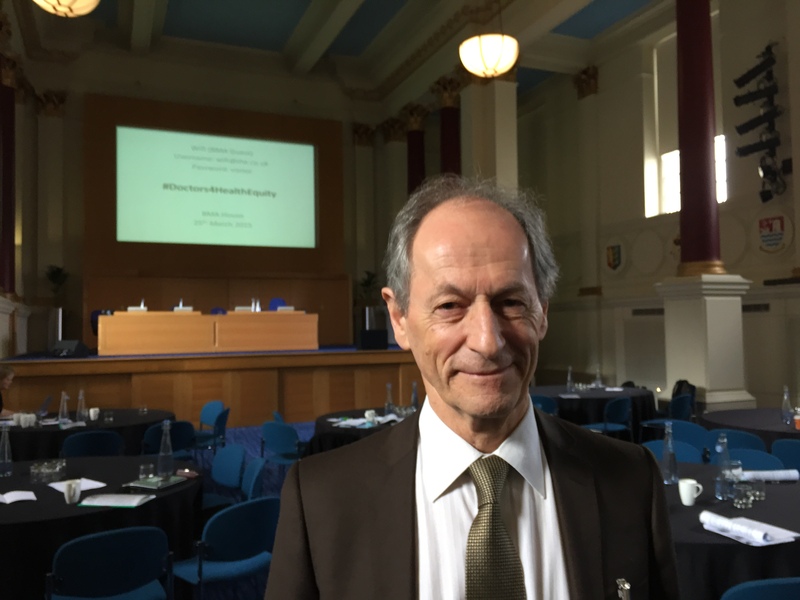 I’m wondering if your greater involvement with organized medicine in your role as president of the British Medical Association, and now president-elect of the World Medical Association as president-elect has changed your thinking at all about the role of physicians in advancing these determinants of health? Sir Michael: It has. When I made my acceptance speech as president of the BMA, and again at the WMA, I appealed to doctors’ better instincts. I said “Why did you go into medicine? Remember why you went in to medicine? You didn’t go into medicine to be a respected member of the community or to make money or to become a medical politician. You came to medicine because you wanted to help people. Remember?” And most doctors like to be reminded of that. That is why they went into medicine. And so my argument is: “You wanted to cure the sick. It’s not a huge leap from there to say, let’s address the condition that made them sick. RM: So this isn’t a distraction from medicine, it’s the core purpose of it? Sir Michael: Exactly. If we want to make our patients well, that means that we want to make our communities and our populations well. And that means prevention, it means addressing the social determinants of illness. This is not to the exclusion of treating sick people, but it means addressing the conditions that made them sick in the first place. RM: How do you see physicians incorporating that concept into day-to-day practice? RM: That brings to mind a project we’re working on in Canada. Building on the poverty tool designed by Gary Bloch and his group, we’re designing a social determinants of health screening tool. Patients answer a series of questions on a tablet device and then it’s linked to a searchable database of all the social programs within our region. When the physician or other health care provider hits the submit button, up comes all the suggested services to which they could connect their patient. Sir Michael: That’s exactly the kind of tool we need. Just as now you could go online and find out what the side effect of drug X is, and that you shouldn’t eat grapefruit when you’re on warfarin or whatever, you can find out what’s available to assist patients with their social circumstances. I mean, it’s very frustrating as a physician to feel that you can’t deal with the real problems that your patients are facing, that all you can do is hand out blood pressure pills or anti-depressants, but can’t actually deal with the cause of the problem. It’s very frustrating. RM: Extremely frustrating. It’s exactly that frustration that’s driving more physicians to question current practices and think upstream. Now that’s a way of addressing the social determinants of health at the level of the individual. How do we get to what you call “the causes of the causes”? 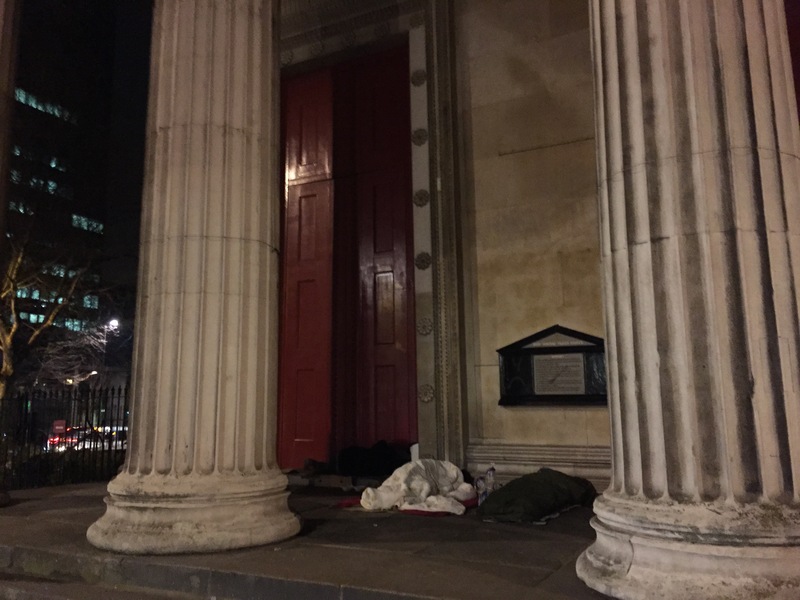 Sir Michael: I was walking down the street last night, and on the portico of St Pancras Church, just up the street from BMA house, there were wall-to-wall homeless people, out sleeping rough. Is that our job as physicians to be concerned about that? Absolutely. Absolutely it’s our job to deal with homelessness. Now, the homeless numbers went down in Britain, but they’re rising again. It’s a political issue. And we need to speak up about that. Now the line I’ve been taking in Britain, and in other countries, is that I’m not party political. I wrote a little blog about this when I came back from one of my many trips to Sweden. Somebody said, “The word on the street in Sweden is you’re getting more political.” Political? Moi? Perish the thought. I argue from the evidence. Not, “You’re a rotten this or a rotten that.” I argue from the evidence. I’ve had right wing politicians say to me, “Isn’t your agenda really closer to social democracy?” And my response is, “if you’re saying your party doesn’t care about people’s suffering, then that’s most unfortunate.” I’m looking at how the conditions in which people are born, grow, live, work, age impact on their health and the evidence for that. There will be different views on the solutions, but to argue that, “Well, who cares, that’s just an unfortunate consequence of how we organize things in this country, but that’s nothing to do with us” -- that’s just not acceptable. RM: That’s what I think is so helpful about this lens. If you can get people to agree on a goal of health then the solutions on how to reach that goal can work themselves out. One of the things that’s on Upstream’s agenda is to try to make the social determinants of health a political issue, something that all parties need to address, and are speaking about addressing. Have you seen any progress in terms of getting this on the agenda of the public’s political demands and the platforms of political leaders? Sir Michael: As we were saying earlier, it’s harder to get it on the public’s list of demands under the rubric of social determinants of health, but getting it on the public’s demands in terms of homelessness, not being able to afford to rent a house or a flat, having some private equity firm take over a housing association and then expel residents so they can put the rents up, that becomes a political issue, and that’s very much on the minds of the people. We want affordable housing, we want good neighbourhoods, we want good schools, where our kids can go and flourish. That’s very much on people’s minds. And all those things are practical to health, they’re part of the social determinants of health. So yes, I think we do have to engage the public, and the public has to engage the politicians. RM: Speaking of what engages the public. You’re an epidemiologist; you work with data. But the things you actually end up talking about much more are stories. What’s the importance of those stories, or case studies if you want to call them that, in communicating this concept? Sir Michael: Somebody wrote to me recently, and they said, “Your combination of stories, evidence, passion and urgency are exactly what we need.” That was a very nice thing to hear, because I do think stories are important. I spend my life looking at evidence, combing through the statistical data. Whenever I’m writing something, I have the UNDP reports open on my desktop, looking at WHO or World Bank statistics or looking at the National Office for Statistics in Britain, data on poverty, wealth distribution. I look at evidence and data all the time. Not a day goes by, literally, where I’m not looking at some evidence that’s related to incomes or welfare, expenditures in health or education, and I talk about those things as well. But data are not enough. Logic is not enough. You need the passion, and it’s the stories that bring that passion forward. The stories are what empower us. And it’s not the stories of just the hard facts. Nobody sheds a tear when I talk about people sleeping rough. People do shed a tear when they hear the stories of triumph over adversity, of things betting better. Former CMA president Jeff Turnbull’s power to inspire is not, “Oh, it’s so awful that people are homeless and their health suffers.” His power to inspire is that he’s taken these down-and-out souls and improved their life situation and that’s helped us treat their illness. Those hopeful stories have a huge impact. Now, the evidence that he’s making a difference is vitally important as well. Just being a good fellow is inspiring, but that’s not enough. Being a good fellow is one thing, showing you’re making a difference is another thing entirely. That’s why you need both: evidence and stories.